Soda is one of the most popular beverages. They are full of sugar and artificial sweeteners. Soda triggers further sugar cravings. Excess intake of soda is harmful for your health. Soda has slowly become a popular beverage amongst young and old. Soda is ubiquitous nowadays, whether you go to a fast food joint or a restaurant, you will almost always find a combo which pairs your favourite food with a can of soda. Soda addiction has taken over so much that many people cannot imagine having their meal without a can of their favourite soda drink. If you are addicted to soda, here are some reasons to stop drinking soda that will help you quit drinking soda. Almost every bottle of soda being sold in the market contains citric acid and added sugar, which can damage your teeth. Regularly drinking soda can damage the enamel on your teeth. People who drink soda can’t afford to have poor oral hygiene, otherwise it can be harmful for their teeth.The added sugar in soda can cause tooth decay and bad breath.A study published in the Journal of Zhejiang University SCIENCE B in 2009 claims that excessive intake of soft drinks can cause complex dental consequences including dental erosion and caries.So avoid soda as much as you can as it can be severely harmful for oral health. 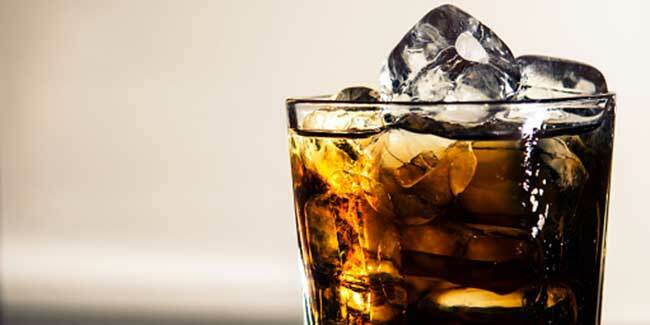 Excess intake of carbonated soda drinks can also lead to reduced bone strength, especially in women.American Journal of Clinical Nutrition published a report in 2006 suggesting that women who consume regular and diet cola are more likely to have weaker hip bones than those who do not drink these beverages. Excess intake of soda, including diet soda, can increase your risk of having a stroke or heart attack.A two decades long study from The American Journal of Clinical Nutrition, on around 88,520 women of ages 34 to 59 done concluded in 2009 that that women who drank more than two servings of sugary beverages daily had 40 percent higher risk for heart attacks or even death from heart disease. The high amount of added sugar and other artificial sweeteners in sodas contain carry huge loads of calories posing risk of obesity in the longer run. Although artificial sweeteners are quite low on calories but they can trigger sugar cravings.A 2006 study published in the American Journal of Clinical Nutrition reports that soda along with other sugar-sweetened beverages provide little nutritional benefit and increase weight gain and probably the risk of diabetes, fractures and dental caries.